Pearl Linford is stuck. Her best friend won’t talk to her. The internet thinks she is a murderer. And she’s waiting for the right moment to forgive Finn Blacklin, but it never seems to come. On top of this, the Unseelie fairies have infiltrated her town, and they’ve unleashed a new horror – a bunch of wild, uncontrollable, angry supernatural hunters who’ve made Finn number one on their hitlist. And you know what? This is a lot for one seventeen-year-old girl to handle. No wonder Pearl is so full of rage all the time. A rage that might be drawing the attention of some very dangerous people. As awards season comes up, I’ve been talking about Valentine a lot. 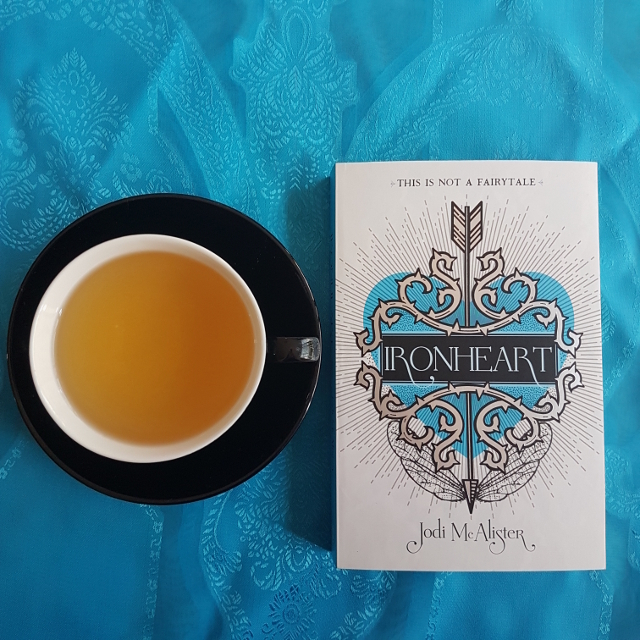 So, I was delighted to get my hands on Ironheart and even more thrilled to find it lives up to the standard set by its predecessor. From the very first scene, it deals with the consequences of the previous book. Pearl has experienced some trauma and has understandably developed a phobia of bodies of water as a result. Which makes her job as a lifeguard at the local pool untenable. She also has some difficulty coming to terms with being rescued by Finn in the previous book. Being a helpless victim is not something that sits well with Pearl and it makes her double down on trying to do things herself, even when it clearly isn’t the best way forward. And this is shown in different spheres, from dealing with her trauma to discovering the identity of the new Rider preparing to hunt down Finn. It was fascinating to watch Pearl come to realise that being rescued is not the same as relying on your friends. This was just one of the ways in which the book advocates for healthy relationships. At the end of Valentine, we see Pearl step away from committing herself to a relationship with Finn because they haven’t had the chance to get to know each other as friends first. It was one of the things that delighted me most about the book. Ironheart continues to push back against the idea that romantic love is the be-all and end-all. Pearl is very clear that living a life where Finn is the sole and central relationship isn’t one that’s going to be fulfilling to her–her relationships with her friends and family are no less important. It was a refreshing perspective. At the same time, it was also sweet to see her relationship with Finn develop, even amid the chaos. It doesn’t always go well–Pearl’s desire for her own agency means that she’s not always forthright with Finn, which backfires. It plays into a wider theme of trust and honesty, which also crop up in several of Pearl’s other relationships. If I had one quibble, it was with the revelation of the identity of the Rider. While it came as a surprise, I felt it was just a little underplayed and perhaps relied a little too heavily on info that came in the first book. However, overall, I found Ironheart a delightful read and a great continuation of the series.